So...I had no idea what I was getting into when I opened this book. Honestly, I just picked it up because it was pretty. And because I've been wanting to read a Neil Gaiman book for awhile. But if we're being honest? Because it's pretty. Don't mind if I intersperse random book images throughout this review to drive my point home. 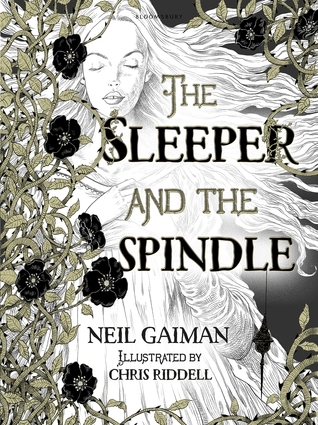 The illustrator of the book is Chris Riddell. What an interesting take on a fairy tale! It was kinda dark. 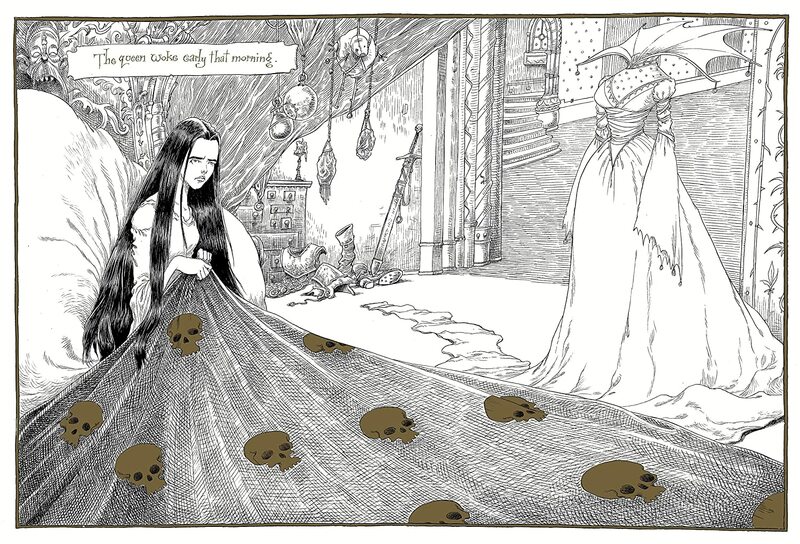 (I mean, there are skulls on the queen's blanket in that picture up there, let's be real.) But not really dark. The tone of Neil's writing was to the point, but with a little element of snark. Gaiman described fanciful fantastic things in a simple, straight manner. The descriptions were clean -- not flowery. This was interesting because usually fairy tale lands are described in a flowy, full-of-wonder, full-of-awe tone. But here you had lines like, "They had names, the dwarfs, but human beings were not permitted to know what they were, such things being sacred. The queen had a name, but nowadays people only ever called her Your Majesty. Names are in short supply in this telling." I love it! Definitely chuckled at that. 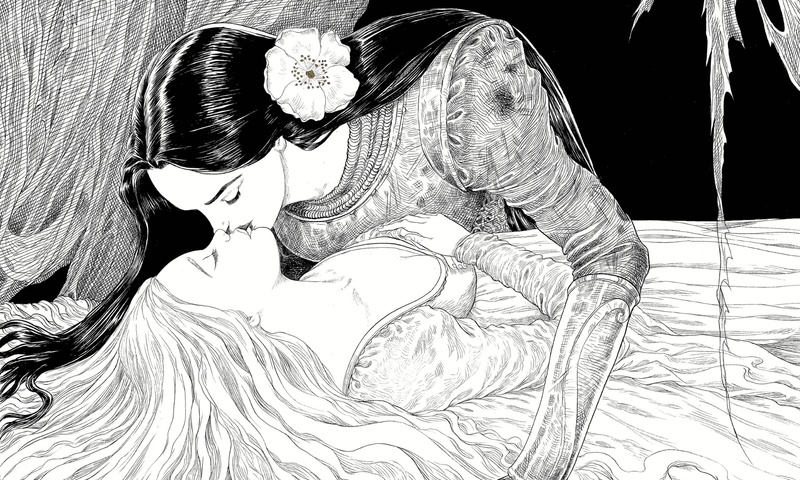 Then there's the famous element that has been reported about quite a bit (that I've noticed on my post-read Google searching) -- Snow White's kiss is the one to wake Sleeping Beauty. This is what happened to the last dude who tried to rescue the sleeping princess. True to form in surprising me, the end of this story was not at all what I was expecting! Neil Gaiman throws in an interesting and creative twist. All in all, this is definitely worth your time. It's a unique and surprising story, and the artwork is awesome. I have not heard of this one, but it sounds so different that I want to read it right now! !